Do you have hand me downs in your home? 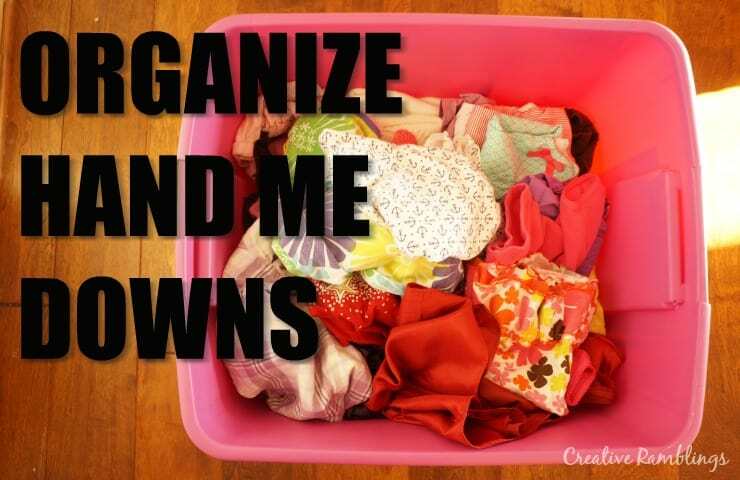 I have found a way to organize hand me downs and bring some sanity to the piles of cute girly clothes in my basement. Watch this quick video then scroll down for your free download and get your hand me downs organized! I have 2 girls about 3 years apart. I was lucky enough to get hand me downs in great condition from family and friends for my first. I continued the tradition by keeping all her clothes for my second little girl. The result is a stack of plastic totes in my basement that fill a wall. As much as I want to keep my babies little, I look forward to my youngest growing out of a size so I can pass her clothes along (and get them out of my basement). I got to a point when Little Lady, now 5, was very young where all these labeled bins of clothes were just contained messy piles. As she moved up a size I would bring her clothes up to her closet then put the out of season ones back downstairs. But if the weather changed and I needed something I would end up digging through multiple bins to see if I had it before I went out and bought a new one. That had to change, especially when Baby Girl came along and not a single bin was organized. I came up with a ridiculously simple system that keeps my hand me downs organized and saves time when searching for clothes. Here it is, seriously it’s simple. 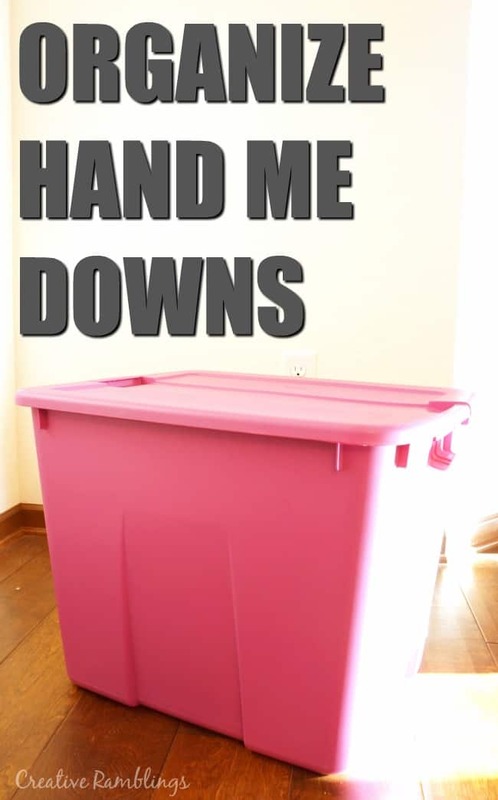 Watch this quick video (under 1 minute) then scroll down for a free download that will help you get your hand me downs organized. Labeling bins not only by size but by contents will GREATLY improve efficiency. Baby Girl is in 24 months/2T right now. I have her winter clothes in her closet, but every now and then I find myself looking for a specific piece of clothing I know I have stored away. I don’t have to dig through bins to find it, they are all labeled! I just look at the label and don’t open a thing until I find what I am looking for. 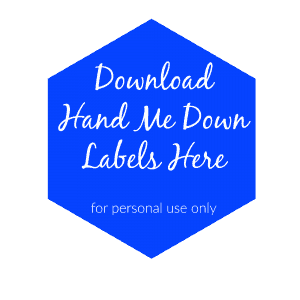 Download your labels here. Print these off, take inventory of your bins, close them up and stop digging! I hope this helps you organize your hand me downs. If you are looking for supplies you can grab some below. Once your child’s clothes are out of bins and in the closet these closet organizers are a great way to keep everything organized. How do you organize hand me downs?